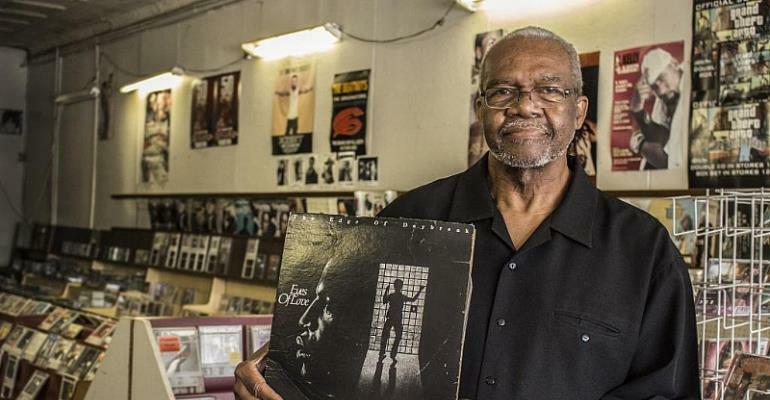 James Carrington made history in 1979 when he and other inmates at the Powhatan Correctional Center in Virginia, US recorded the first album in prison. James and his fellow inmates had created an R&B group called Edge of Daybreak and their disk, Eyes of Love, was recorded in one take! Because it had to be! The band members were all inmates, incarcerated for everything from armed robbery and assault, with sentences ranging from six to 60 years. Thematically, the collection is about a group of guys making the best of a tough situation. After 30 years, James was released, and now runs his own music story in Petersburgh, Virginia. Colm Flynn tells the amazin gstory of James Carrington.